The thunderbird’s silhouette soars over the world’s largest temperate rainforest canopy that drips with leaves and lichen. I grew up here and now I can wrap myself up in the significance of this sacred place. 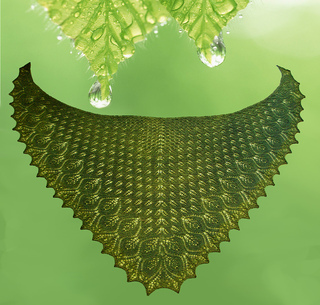 This shawl is a wide triangle knit from the top-down all in one piece. Most of the lace is patterned only on one side with minimal work on the wrong side. Fully charted pattern with complete written instructions. 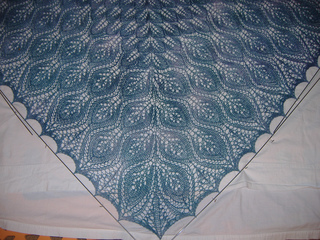 Fully adjustable sizing to make a balanced looking shawl using any weight yarn! This means if you’re using laceweight and doing numerous body repeats, you can also do more large leaf repeats for a balanced and esthetically pleasing result.